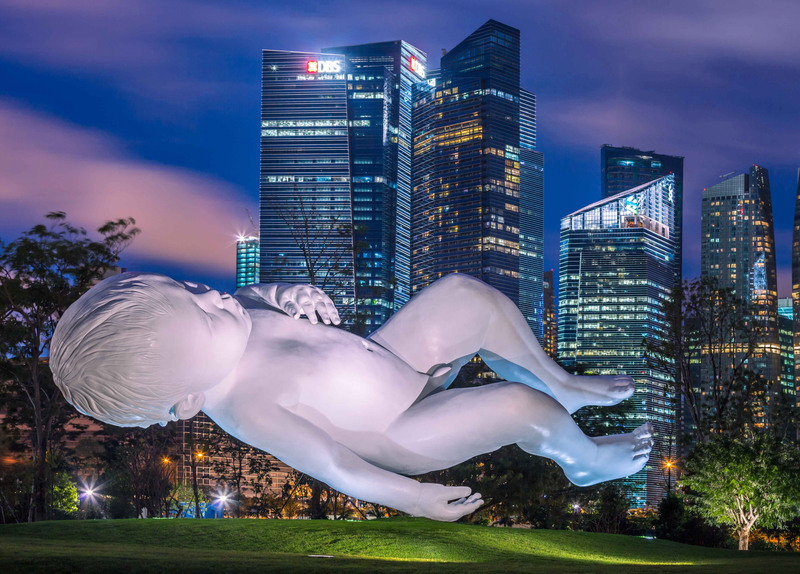 Dr. Wenny Teo writes about Quinn's large scale installation Planet on permanent display at The Gardens by the Bay in Singapore. The Gardens by the Bay is a verdant spectacle of epic proportions, unfurling along a three-kilometre waterfront promenade and occupying 250 acres of prime land in the heart of a small city-state. This enchanted forest symbolises the efflorescence of Singapore's remarkable politico-economic and social evolution from an unruly trading colony to one of the worlds most prosperous nations.